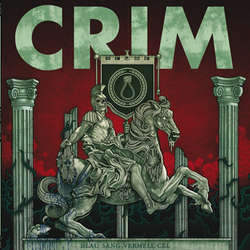 Crim was presented with an important yet difficult challenge after publishing what was touted as the "best punk rock album" in Spain in 2014. A solid contribution from start to finish, full of generational hymns and intelligent lyrics (in Catalan), "Blau Sang, Vermell Cel" ("Blue Blood, Red Sky") has more than met that challenge. These songs, originally released only in Spain in fall 2016, have more than excited their ever-growing fan base - who devoted, learn all the words and sing passionately at every concert, fists in the air. Limited edition of 250 copies.